2013 STA winner Mexico City impressed the committee with its extensive BRT system, Metrobús. Photo by ITDP. EMBARQ, together with the rest of the Sustainable Transport Award (STA) Committee, invites you to nominate your city for the 10th Annual Sustainable Transport Award. Nominations open on Monday June 17th and will be accepted online until September 13th, 2013. More info and nomination form here. Established in 2005, the Sustainable Transport Award recognizes profound leadership and vision in sustainable transportation and urban livability, and is presented to a city each January for achievements in the preceding year. Nominations are accepted from any interested parties, including government, non-profit/NGOs, community groups, academic institutions, who have a working knowledge of the city’s projects and can provide verifiable data and contact information for the city. The award is given each year to a city or major jurisdiction that has is implementing innovative transportation strategies. These strategies should improve mobility for all residents, reduce transportation greenhouse and air pollution emissions, and improve safety and access for bicyclists and pedestrians. The award winner and honorable mentions will officially be announced at an evening reception at the Transportation Research Board’s Annual Conference in January 2014. Finalists will be notified by November 2013. Last year’s winner, Mexico City, implemented many projects in 2012 that have improved livability, mobility, and quality of life for its citizens, making the Mexican capital a best practice for Latin America. 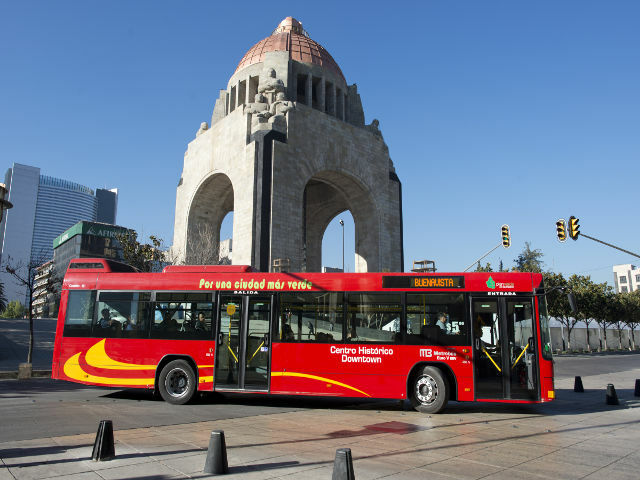 The city expanded its BRT system, Metrobus, piloted a comprehensive on-street parking reform program (ecoParq), expanded its successful public bike system (Ecobici), and revitalized public spaces such as Alameda Central and Plaza Tlaxcoaque. For more details on the Sustainable Transport Awards, and to nominate your city or any city, visit staward.org, or contact Jemilah Magnusson, Communications Manager at ITDP.